Hey there lovelies, welcome to my little corner of the internet I like to call Hannah's Beautiful Life. Today I wanted to do something a little different to what I would normally write about, but I feel it's something that needs to be addressed. Firstly I'll say that I recently purchased the new Burt's Bees lip balm after seeing their advert on Facebook and I love it. Just as I love every Burt's bees lip balm I have ever purchased. But this one is different, they have launched a #BringBackTheBees campaign. I think this is an amazing idea. I will link the video for you ..Here.. as it is defiantly worth a watch and I think will give you small insight to the little things that we would miss if we didn't have bees. Bees aren't a creature that get a lot credit, and they most defiantly do not get the credit they are due. Most of us will back hand them away when they buzz anywhere near us. And don't get me wrong I'm guilty of doing this a fair few times myself, it's just an immediate response to any buzzing sound. Bee's are such an important part to our eco system. They pollinate just about everything that we eat, in fact its 3rd of everything we eat.. so without them our food source would start to decline. I know in this day and age they are bound to discover some kind of way to do the bees "job" but that's besides the point. We can help save the bees. What can I do to help save the Bees? 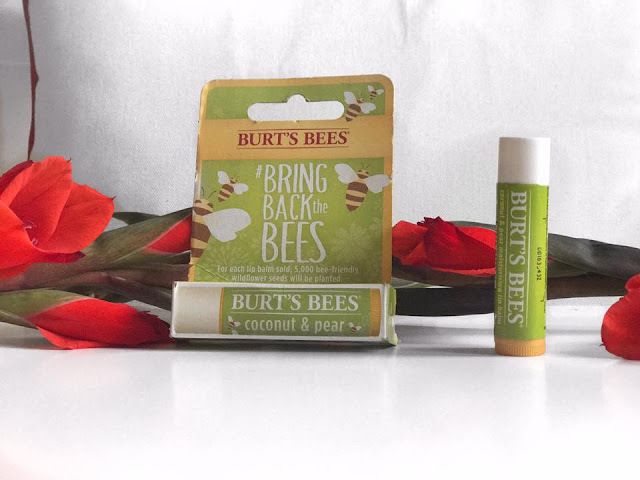 Well I'm glad you asked, the easiest thing to do is purchase a Burts Bees Save The Bees lip balm and they do the rest of the work by planting 5000 bee friendly wild flowers. But if you feel like doing more you can also plant your own wild flowers, ones that produce a lot of nectar. Such as purple flowers, bees can see the purple more clearly than another colour i.e Lavender, Alliums, Buddleja. Flowers that are tubular shaped are great for long tonged bees, like bumble bees i.e Foxgloves, honeysuckle, snapdragons. Although bees are most active throughout the warm summer months they will always bee about so it's good to have a few plants that flower all year round. They can fly up to 2 miles away from their hive, but they will fly further if they have to. This isn't good for their life expectancy. If you come across a drowsy bee, use a leaf to scoop them up and make a sugar water solution (half and half) and place it with the bee some where near flowers and in sun light is preferable. (be sure to avoid brown sugar as it's difficult for the bee to digest. "Bees need flowers for sustenance, and flowers need bees for pollination"